This week has left me all over the place! I feel like I haven’t been in at all in the evenings, and even though I’ve been getting enough sleep, I just feel wrecked. I don’t think December is going to be much better – ugh, bring on January. The good news is, it’s mostly been fun stuff! 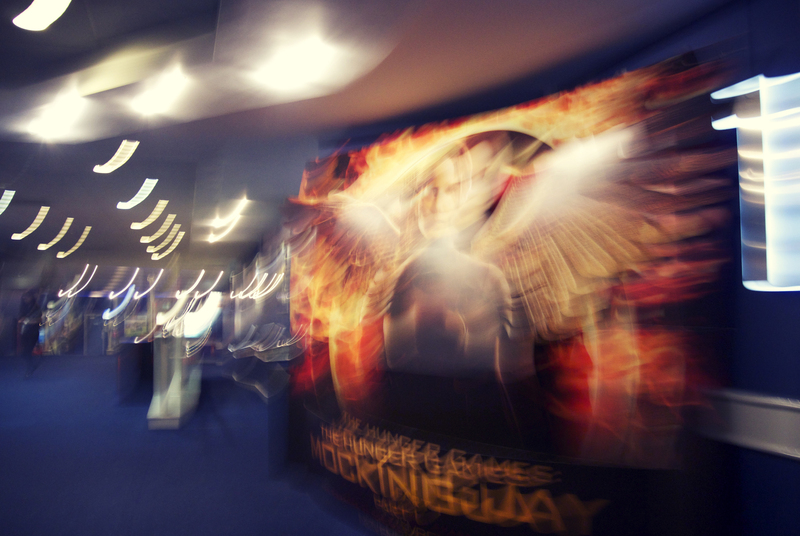 This blurry photo really encapsulates how excited i was to be at the cinema on Monday (and also because I was rushing to get into the screen). I had read so many reviews that started “Mockingjay is the worst of the series” so I wasn’t expecting this one to be as good as Catching Fire, and in a way it wasn’t. But it was a very different film, it was so dark, so intense, so claustrophobic, and even though I knew how it would end, I was breathless through the last third. Oh god, there was a small part of me that thought “maybe they’ll change it, maybe Peeta will be ok” but DAMN JOSH, he killed in that scene. I was super happy that Effie had a role, and one of my favourite scenes was the one between her and Plutarch (Philip Seymour Hoffman was so great). I missed Finnick and Haymitch – there wasn’t enough of them. And I don’t think I need to go into how amazing Jennifer Lawrence was. Because she was. No one else could be Katniss but her. My thoughts are still all jumbled, and as I’m sure you can imagine I was ridiculously emotional throughout the film. Pretty much anytime someone did a District 12 salute or Rue’s whistle, I started bawling. The next 12 months are going to feel very long. Wednesday was a day of trains – 6 hours worth of trains to be precise. Boy, did I feel tired and grimy when I got home. 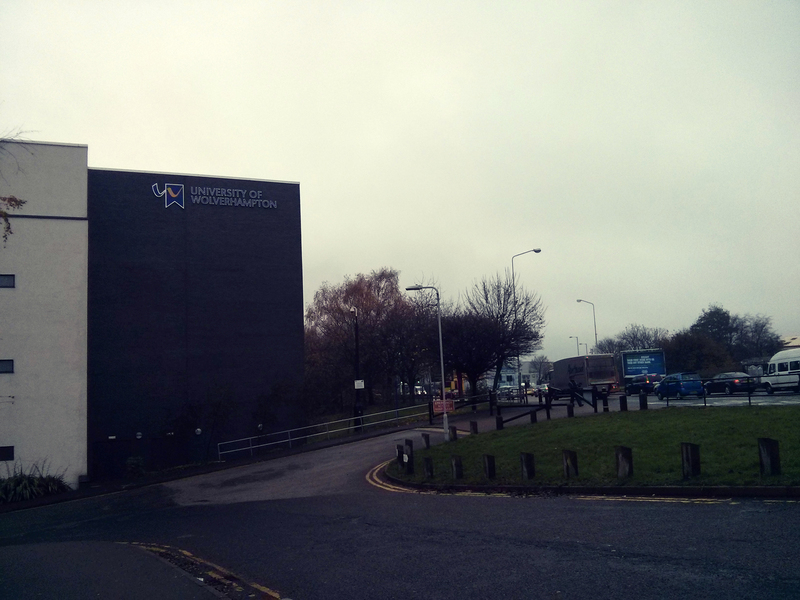 I travelled up to the University of Wolverhampton for a meeting with some other institutions and it was crazy productive. It’s probably one of the most worthwhile things I have attended this entire year and is genuinely exciting (if you do what I do. Which isn’t exciting). Also, it made me so jealous of the professional services staff at Wolverhampton as their office is amazing. They all had fancy filing cabinets! I only have a crappy cupboard! I’m so bitter. I didn’t get to see anything of the city as I jumped straight back on the train afterwards and it was a little cold and grey. I got covered in mud on the way to and from my local station though as I had to walk around the pond – I was desperately trying to wash some of the dirt off my shoes before going into the meeting as I must have looked a mess. Ever the professional career woman. 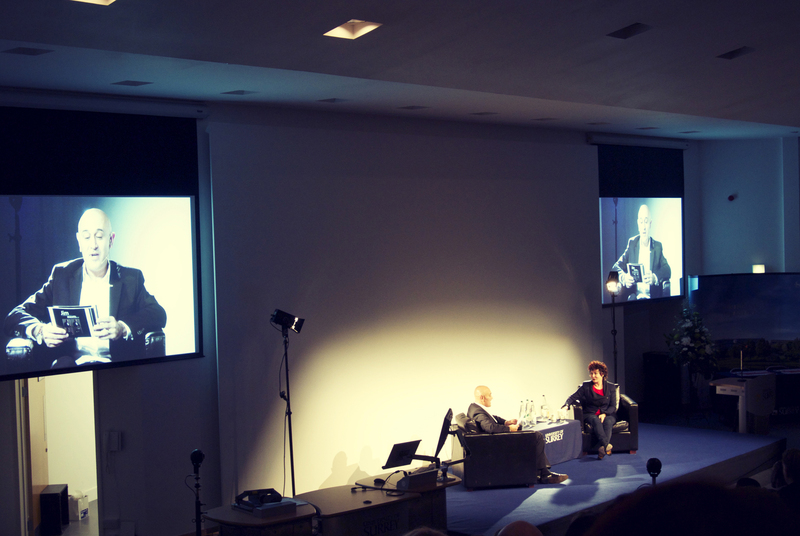 Last night was spent in one of the lecture theatres at work with Husband, watching (technically) a colleague and Humanist hero of mine, Jim Al-Khalili, interview Ruby Wax. As part of the University of Surrey’s Mental Health Awareness Week, Ruby had been invited to talk to Jim as part of the “Jim Meets…” series. I was really looking forward to this, as I have very recently read Ruby’s book on mindfulness (Sane New World) which has some amazing insights that have genuinely changed how I work through stressful situations. She shared more of these insights in the interview, and expressed how she wants to strip away the stigma around mental health issues. She’s right – when something isn’t right in the mind, it’s not just a mental issue but a physical one too and can affect everything about a person. She compared the use of medication for depression to insulin for diabetes. You wouldn’t tell a diabetic person not to take it, so why limit the use of drugs for depression? When someone has something ‘physically’ wrong with them like a broken leg, they get cards and sympathy. Why not when someone has something wrong in their mind? She spoke about the Mindfulness in Schools movement and I wish I had been taught it at school. As Ruby pointed out, before we start teaching children about history and space and what’s ‘out there’, they need to learn what’s inside their brain and how to regulate themselves. I think this is worth a million times more than anything else they can learn. It was such an interesting evening and good to see Jim in the flesh – I don’t have much interaction with academics (although I have seen him once before on campus filming for something) and as a Humanist, I am always really pleased to see a bit of exposure for the president of the British Humanist Association! I’m just tagging this post, and am most amused that it features a tag for the Hunger Games, and Jim Al-Khalili. HA!